A new complication for the classically-styled sports watch. 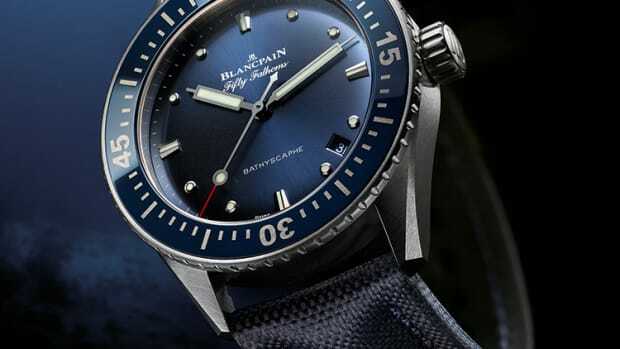 Blancpain&apos;s Fifty Fathoms Bathyscaphe has definitely been one of our favorite releases from the Swiss watchmaker and now they&apos;ve updated the style with a new annual calendar complication. 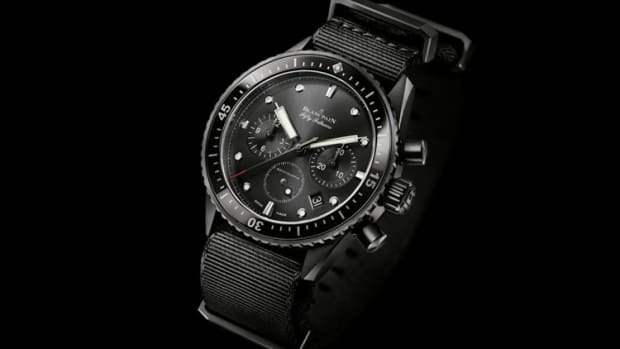 The straightforward dive watch styling has been maintained while two apertures at 2 and 4 o&apos;clock that indicate the day and month. The 43mm watch features their new 6054.P caliber that is based on their in-house twin-barrel 1150 movement and a ceramic bezel with Liquidmetal markers. A classic watch in a more classic size. 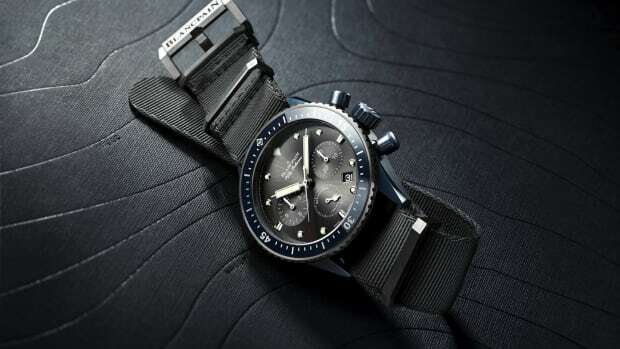 A unique watch with a unique finish.